Bernie Krause is the world's leading expert in natural sound. Beginning by recording the sound of wheat growing in a Kansas field, he has spent the last 40 years recording ecological soundscapes and the sounds of over 15,000 species. Due to human actions, half of the wild soundscapes he has on tape no longer exist. Krause divides natural sound into three categories. Biophony is the sound made by animals and plants, like the shrimp whose underwater clicks are equivalent to a Boeing 727 taking off. Geophony is natural sound - made by wind, water and rain - which led different tribes to have different musical scales. And anthrophony is human-generated sound, which as it has rapidly increased has affected animals - for instance, causing disoriented whales to become beached. In The Great Animal Orchestra Krause invites us to listen through his ears to all three as he showcases singing trees, contrasting coasts, and the roar of the modern world. Just as streetlights engulf the stars, human noise is drowning out the sounds of nature, and our focus on the visual today blinds us to this. 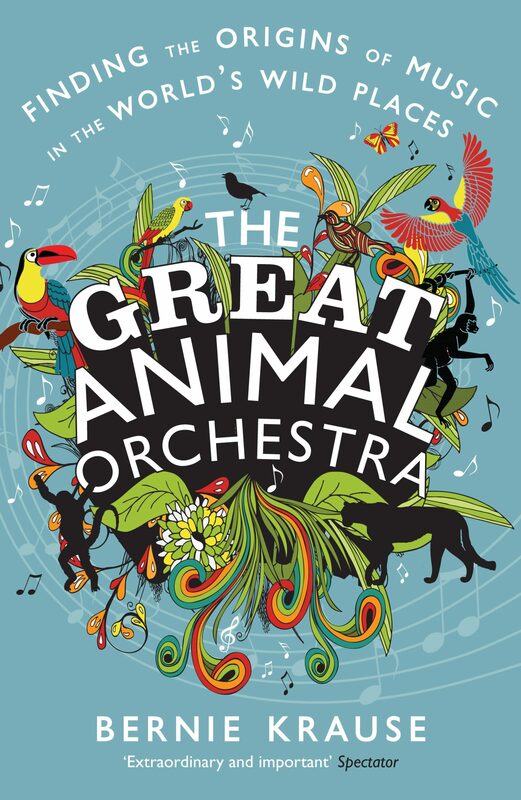 The Great Animal Orchestra shows why it is vital we preserve our remaining natural soundscapes - and will make you hear the world entirely differently. Loved by experts from E. O. Wilson to Norman Lebrecht, this unique book - now out in paperback, combines music and cultural history with science to appeal to everyone from David Attenborough fans to music lovers.